Regardless of industry or audience, you include some of the same information on every website you create: NAP, CTA's, landing pages, contact information. But oftentimes one of the most impactful elements of any website is also one of the most overlooked – the website sitemap. Simply put, a sitemap provides viewers and search engines a bird’s eye view of the content on your website, including how often that information is updated. And if you want your website to be as successful as possible, implementing a sitemap is mandatory as it highly impacts SEO performance. 1. 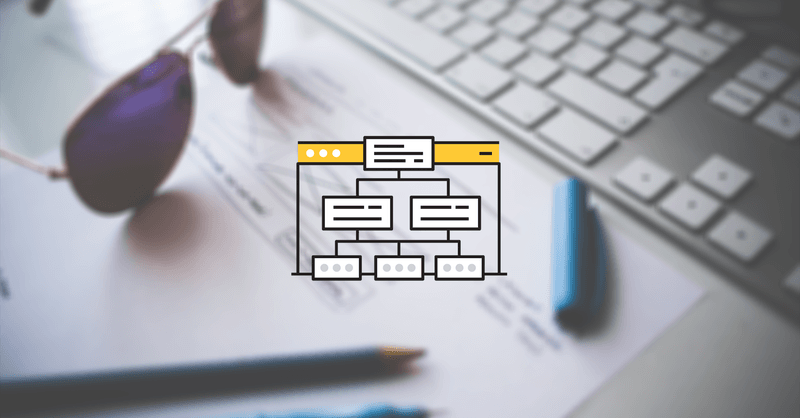 You should prepare your sitemap project ahead of time. A sitemap shouldn’t be considered as an afterthought to your website project. Rather, you should craft your sitemap first and allow it to steer your design. First, determine the goals of your website. In other words, why does this website need to exist? Who will visit the website? These goals will help you prepare and plan for your website project. Read this article on how to prepare you next business website project. Once you establish purpose, begin mapping out the user experience. What do you want users to look at? Should they perform a specific action on the content? What content will visitors look for after viewing other content on the site? A sitemap helps ensure that every piece of content you add reinforces the website’s initial goals and creates a better user experience. Most websites rely on organic traffic to build their audience, but your website won’t see much activity if search engines can’t find it. In this article we share some best practices to give your website a kickstart boost. But above all a sitemap makes your content more attractive to search engines like Google. Google prides itself on delivering relevant content to those who are searching for it, and needs to know as much as possible in order to serve up the right results. The more you can tell search engines about what viewers will find on your website, the better able the search engines can relate your information to user queries that fit the bill. Once your website goes live, your client is likely to ask when the website will show up on Google. While sitemaps and website changes aren’t immediately indexed by Google, your sitemap will speed up the process. For existing websites that haven’t used a sitemap in the past, a before-and-after glance at your website analytics can illustrate the impact your sitemap made on web traffic. Now that you know what kind of site you are creating, who will be using it, and what it will look like, you need to decide which tools can best help you design, code, and manage content to bring your vision to life. Some of the decision here will depend on if you are working with others on a team or flying solo. You need to consider that the more people involved in the project, the more room exists for inconsistencies, project lag, and lower margins. It’s not uncommon for a development team to work in different technologies, but if you want a more seamless experience you can use smart building platforms like SiteManager. Solutions like these deliver an all-in-one type of experience, which could be ideal for freelancers or small agencies who don’t want to outsource some of the developing. Using a single tool to build the website can save project time and costs since it brings all of your design work into one central hub and slices several steps in the process.